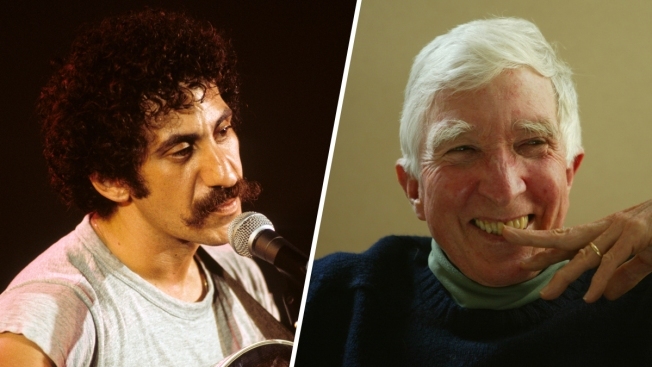 Eighteen sites in Pennsylvania will be given new state historical markers, including the homes of musician Jim Croce, left, and novelist John Updike, right. Musician Jim Croce and novelist John Updike are among the subjects of 18 new state historical markers given approval by the Pennsylvania Historical and Museum Commission. The commission announced selections Thursday that also include the Bethel Burying Ground, an African-American cemetery established in 1810 in Philadelphia. Croce's marker will be at his family home in Lyndell, Chester County, while Updike's marker will be outside his childhood home in Shillington, Bucks County. The markers were selected from a group of 55 nominees and will be added to about 2,300 that have previously been installed along the state's roadways. Other newly approved subjects and topics include an Olympian from Washington County, an abolitionist from Warren County, a pioneering transplant surgeon and the state's first home for veterans. Other new markers with Philadelphia-area ties include a Philly marker for early animal welfare group, the Women's Pennsylvania Society for the Prevention of Cruelty to Animals; a Philly marker for Quaker abolitionist Anna T. Jeanes; a Philly marker for legendary La Salle basketball star Tom Gola; an Abington, Montgomery County, marker for Quaker Thomas Wistar; a Media, Delaware County, marker for the 1971 FBI office burglary; and a Philly marker for preservationist William Murtagh.